Yes! When is this box due to hit? March I believe, is when the box comes out. I agree very cool is this a future dc collectors box? 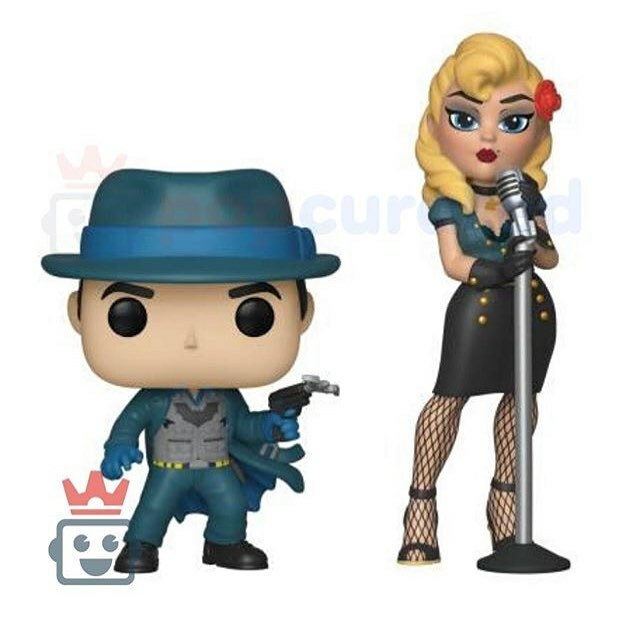 Oh wow yeah that Batman is super tight, but that Black Canary is GLORIOUS This is for a Target exclusive box, you say? Is this something I should preorder? Not online yet, but it probably will be like the two previous DC boxes. Gothamite wrote: Not online yet, but it probably will be like the two previous DC boxes. i just got Rock Candy dark phoenix in a trade and I am very happy. Looks like the retail-wide will be one fire hand instead of two? The MCC one also lacks the flames on the base. I think this one will stand better than mine so I'm definitely going to try and grab it. Gothamite wrote: Looks like the retail-wide will be one fire hand instead of two? I have to say, I like the collectors box sculpture more. It has more of a sassy personality. I'm hoping we see green and white versions too. Especially of the Pop too. JohnnyPOP wrote: I'm hoping we see green and white versions too. Especially of the Pop too. I'd love if they came out this year. Here's hoping! So, now that Funko has the Xena: Warrior Princess licence, I really hope that we see Xena and Gabrielle Rock Candy figures! 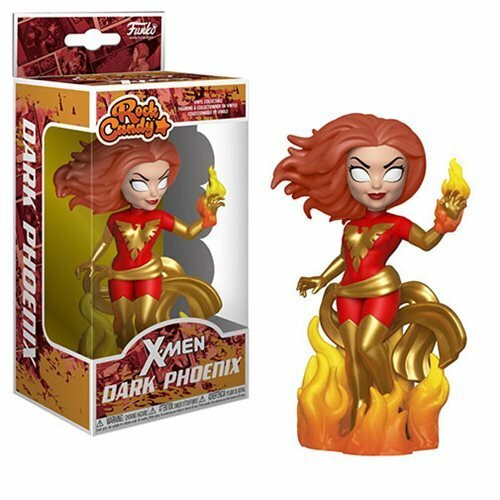 SHAZAMCHAMPAGNE wrote: i just got Rock Candy dark phoenix in a trade and I am very happy. I want this Box Bad !!!!!!!!!!!!!! Anyone heard anything on Snow White? dmitch86 wrote: Anyone heard anything on Snow White? I'm waiting (impatiently now) for her and Tiana to show up, as well as some kind of announcement for Merida and Cinderella. Wonder if there will be one for ECCC? Tiana would've been fitting but so would Merida, I guess. I think we will see one of them soon at least though. I just hope Merida has her bow when they finally make her. I didn't even think about that! I still want a Pop or RC of Cinderella and her broken slipper, poised to strike. The first and so far only RC of the con, but man she's gorgeous. Definitely my second "must-buy" of ECCC. I really hope to see more, especially the remainder of the Comfy Princesses! Ooh man,the wife is going to need that one! That 3000 piece count scares me even though this is Rock Candy. I’m not sure how to go about getting this one. JohnnyPOP wrote: That 3000 piece count scares me even though this is Rock Candy. I’m not sure how to go about getting this one. You should attend ECCC just to get this. If I could, I would. I've never really sought limited number pieces before but I guess we'll see how this goes! Seen on facebook Starfire will also be on the Funko Shop... idk if thats correct or not but with only 3000 pieces either way I dont see her lasting TOO long. I'm not expecting to be able to get her from the booth AFTER the lottery winners make it through. dmitch86 wrote: Seen on facebook Starfire will also be on the Funko Shop... idk if thats correct or not but with only 3000 pieces either way I dont see her lasting TOO long. I'm not expecting to be able to get her from the booth AFTER the lottery winners make it through.